Good evening fellow bloggers. 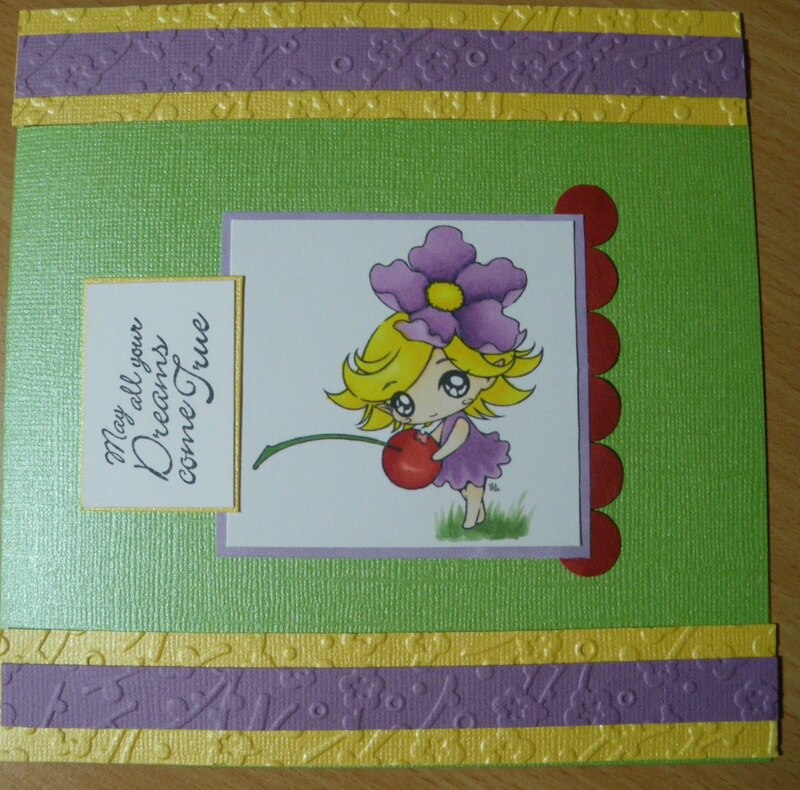 Tonight I would like to show you a a card I have created .... and I'm really not sure of the colour combination. I'm very happy with the colouring of little Cici from Make It Crafty but the rest .. hmmm I'm not to sure. 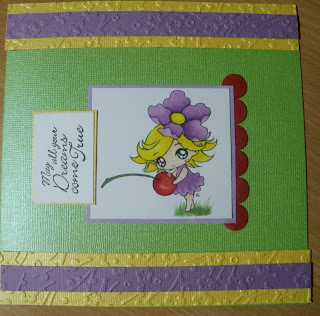 So then I tried this ... the cardstock is all sparkly so it looks better in real life ... but I still don't know about the colours. Maybe as a card for a child this would be good. What a sweet image!!! I like the embossing too! Adore this Carly! So sweet and amazing colouring!